A Ukrainian theme runs through this programme of Tchaikovsky and Mussorgsky. Tchaikovsky’s Second Symphony ‘Little Russian’ is one of his most overtly nationalistic works, drawing on Ukrainian folk songs. Mussorgsky’s unique Pictures at an Exhibition with its triumphant depiction of the Great Gate at Kiev was expertly orchestrated by Ravel from the original for piano, and is one of the great orchestral showpieces. 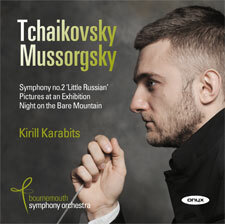 Mussorgsky’s rarely heard original version of Night on the Bare Mountain still amazes with its daring harmonies and orchestration.